The name Marcia Clark will certainly ring bells for you. This is likely due to her work in the legal arena and her various gigs providing commentary on legal matters for multiple television stations. What you may not know is that Marcia Clark is also an accomplished crime fiction author. Her Rachel Knight series currently contains four books – Guilt By Association, Guilt By Degrees, Killer Ambition and the new release, The Competition. 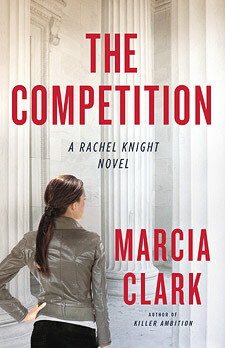 If you have not read any of Marcia Clark’s books yet, now is a great time to try them out. I don’t think you will be disappointed. Check back here at BOLO Books on Friday for my spoiler-free review of The Competition. BOLO Books: Did you and/or your publisher have any trepidation about centering your latest novel around a school shooting – with it being such a grim and hot-button topic of discussion these days? Marcia Clark: I did. What happened was, a few years ago, I ran across an article that completely busted all the myths and misinformation that had been the accepted beliefs about the Columbine shooters. When I looked further into it, I was gripped by the need to tell everyone about it, so I decided that would be the subject of my fourth Rachel Knight novel, which ultimately became The Competition. I researched the subject extensively, spoke to psychologists and experts on psychopathy, and wrote the first draft of The Competition. Then Sandy Hook happened. I gave serious thought to pulling the book. But because the book centers on the psychology of these shooters, the truth about who they are – as opposed to the misleading myths we’ve been fed – all of my “betters” urged me to go forward. They believed that it was more important than ever to put out a book like this. So, I went forward. And now that the book is out and I’ve had the chance to see the reactions to it, I’ve seen that they were right. People want to talk about this subject. They need to talk about it. We can’t push this under the rug and pretend that’ll make it all go away. We have to get out ahead of the problem and we can’t do that unless we to learn as much as we can, talk about it and find ways to spot these killers before they can act. That is, ultimately, our best protection. But it’s a difficult subject, to say the least. So putting it into a fictional setting creates somewhat of a remove, a safer forum to learn about it and think about it. I’ve been very glad and relieved to see all the positive reviews and reactions, and all the discussions the book has sparked. BOLO Books: While the main character in your series is Rachel Knight, she has a very strong and committed group of female friends with whom she shares a very tight bond. They help each other through both professional and personal matters. Do you have a similar relationship with colleagues? Is that bond different in the writing world versus the legal realm? Marcia Clark: I definitely had that bond in the D.A.’s office. That’s not to say that the office didn’t have its share of “uglies.” All offices do, don’t they? And I included that aspect in my second book in the series, Guilt By Degrees. But the bond with other women was very important. And so I depicted that in the close knit relationship Rachel has with Bailey Keller, a detective in the Robbery Homicide Division of LAPD, and fellow Special Trials prosecutor, Toni LaCollette. As an added bonus (and literary wish fulfillment! ), because Rachel lives in the Biltmore Hotel, they can all drink at the Biltmore bar and then crash in Rachel’s room. Now, in the writing world, there are definitely buddies – both male and female – who are great fun and terrific moral support. But it’s not the same dynamic because writers don’t go to work in the same building. We work pretty much in isolation, each in our own “cubbies” and time zones. So the camaraderie and support is more often shared in emails – in person, really only when we meet at the thriller writer conventions. BOLO Books: You have given Rachel Knight a traumatic backstory in relation to the abduction of her sister Romy. This history continues to come up in each novel, with readers learning just a bit more each time. Will this trend be continuing? And might be see a major case for Rachel that gives her the answers that she desperately needs? But at some point, I will most certainly resolve this aspect of Rachel’s life. BOLO Books: What are the best and worst things about writing a series? Marcia Clark: The best thing is the feeling of getting to revisit your “family.” I play out how each of the characters would develop – given who they are – in each book, and so I get to watch them grow and change with each new installment. The worst thing? Well, it’s not “worst” in the sense of ‘oh I hate that.’ But writing a series does mean that we revisit basically the same world. 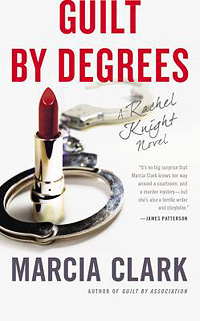 In the case of the Rachel Knight series, that means we revisit the world of the D.A’s office and to a certain extent, the Robbery Homicide Division – both because Detective Bailey Keller is her best friend, and because her boyfriend, Graden Hales is the Lieutenant of Robbery Homicide. But the difference in the crimes (different witnesses and villains) allow for lots of other variation. And so do the other characters who inhabit the world of the D.A.’s office and the Robbery Homicide Division. 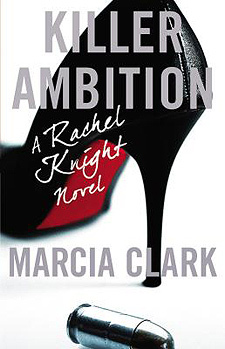 For instance, I introduced a new young deputy district attorney who was Rachel’s “second chair” (a prosecutor who assists in a big case) in Killer Ambition. I got such positive response to him from readers, I’ve decided to bring him back. BOLO Books: I remember the Bouchercon when early copies of your first book were given away. It was the same year that your publisher, Mulholland Books, made its debut. What has been your experience with conferences in general and Bouchercon specifically? Marcia Clark: I love those conferences! It’s so much fun to meet all the mystery/thriller addicts. I’ve been one myself since I was five years old, starting with my addiction to Nancy Drew. And to me, Bouchercon is the granddaddy of them all. 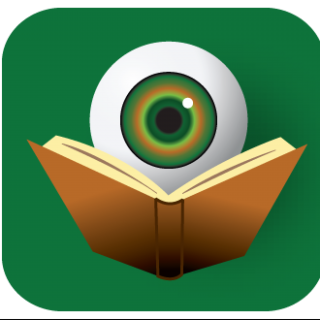 It throws the widest net and brings in the most diverse readers and writers in the mystery/thriller community. BOLO Books: We talked briefly at that Bouchercon about the idea of varying your lead character in each book (rotating among the core group of friends.) That ultimately was not the direction you went with the series. Is this a decision you are satisfied with? Has there been a story that you couldn’t tell because it didn’t work with Rachel in the lead position? Marcia Clark: Right, I remember that. And I still think it’s a good idea, so I may very well center a future installment on Toni or Bailey. The reason I haven’t done so yet is because having Rachel in the lead didn’t limit me. Since the trio includes a detective and two Special Trials prosecutors, I’ve had all the latitude I needed to tell the stories I wanted to tell. BOLO Books: They always say that truth is stranger than fiction. Without giving away any of your future plans, which court case currently in the media spotlight do you think is just perfect for adaptation into crime fiction? Marcia Clark: I don’t usually rip my stories from the headlines. I usually tell core truths about how cases are handled and about the people who handle them, their egos, their foibles, etc. – both in the investigation and trial stages – through the prism of an entirely fictional story. So The Competition was an exception. Will I do it again? I don’t know. The beauty of writing novels is, I can truthfully tell you, anything’s possible! BOLO Books: There are several Rachel Knight short stories available online. Can you talk a bit about the idea behind them and what the experience of writing them has been like? 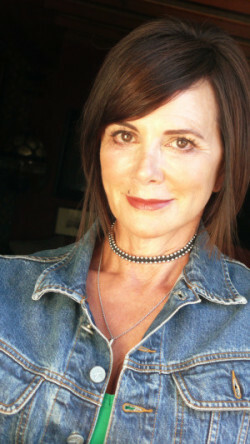 Marcia Clark: From my perspective, writing a short story is a whole different experience. You only have room for one or two twists and you have to set up your world quickly. But from a reader’s perspective, it’s a way to get a little taste of what the series is like without making a commitment to a novel length read. BOLO Books: At one time, your series was optioned for television by the Lifetime network. What is the status of that? Do you have any crime fiction television that is must-watch for you? Marcia Clark: TNT optioned the series and we finished shooting the pilot in April. The network loved the pilot but they’re moving in a different creative direction so it’s not going forward at TNT. We’ll see if it gets picked up somewhere else. As for my must-see TV crime fiction, it’s mainly cable fare: “The Wire,” “Breaking Bad,” “True Detective” and “Fargo.” On broadcast television, “The Good Wife” is phenomenal. Marcia Clark: This is a toughie. I love to hold a physical book. It really is my favorite way to read. But when I’m traveling, the ease of the e-book can’t be beat. So…I can’t choose! 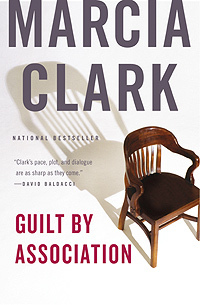 Now that you have gotten to know Marcia Clark a bit better, why not check out her books. Click on the covers above to be linked to Marcia’s webpage which contains more details on each of the novels. And remember to stop back on Friday to read the BOLO Books review of The Competition. I enjoyed this interview, and I look forward to reading THE COMPETITION. I’m grateful that Marcia tackled such a difficult but important topic. I’m also glad to learn about her short stories. I just downloaded “If I’m Dead: A Rachel Knight Story,” and I’ll start it tonight! I think that you are really going to love the short stories and The Competition, Susan. Thanks for stopping by.